Take advantage of our free rental truck at Bolingbrook with move-in! 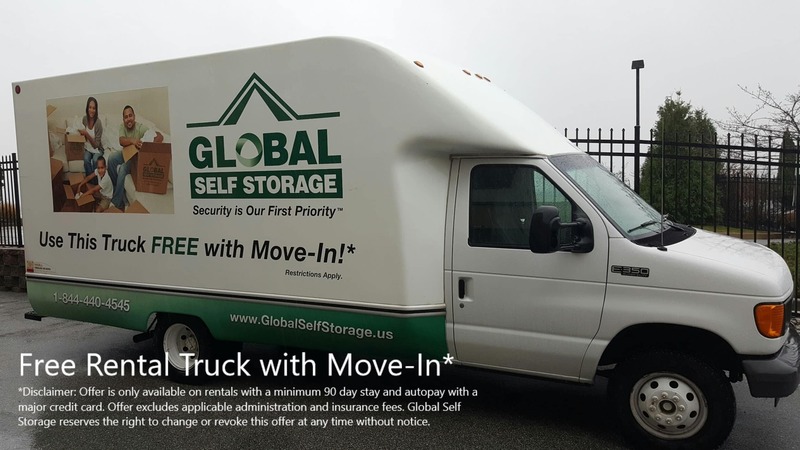 Our rental truck is available to make your move into our facility easy and convenient. The truck is spacious to fit your belongings and you can save yourself multiple trips with your car. Besides, the first 20 miles are on us! There is a dolly and 12 furniture pads for your use free of charge, as long as these are returned to us in the same condition as when we gave them to you. In order to rent the truck, you must have a valid driver's license and you must be set up for automatic payment with a major credit card with a minimum 3-month stay.